There's definitely something in the air in many nations across the western world which may not go as far as be classed as a revolution but at the very least 'rebellion', of where the mass of ordinary people are rebelling against the ruling establishment elite who have had an increasing grip on power through institutions and the media for at least the past 40 years as evidenced by the fact that the gap between the rich and rest has widened in virtually every year for the past 40 years, reaching levels not seen since before the second world war, ripe for rebellion even mass uprisings. The middle classes and working poor have had enough of being systematically turned into slaves in the service of the ruling elite, now in open rebellion as the supposed peoples power has effectively been transferred over to the corporations, bankers and billionaires who like Zuckerberg engage in publicity stunts of donating a few billion dollars here and there in an attempt to mask the magnitude of their greed. If the likes of Gates and Zuckerberg really wanted to help ordinary people then they would pay their fair share of tax rather than the pittance that allows them to amass obscenely huge fortunes. Where the US Presidential election is concerned then on paper it should literally be a shoe in for any democratic candidate for that's what economic analysis, demographics, the pollsters, bookies, election forecasters and markets suggest should happen, they are virtually all forecasting a Hillary Clinton win which is what the mainstream media is liberally regurgitating on a near hourly basis as being the most probable outcome. The first port of call for the mainstream establishment media and political pundits for where candidates and parties stand is the opinion polling industry. So where the polls are concerned Hillary Clinton has maintained a decisive lead over Trump ALL YEAR, that currently has Hillary on 44% against Trump on 41% and recently has been as wide as 46% to 39%. Literally hundreds of millions of dollars are being spent conducting opinion polls across the states, many if not most of which tend to have in built bias's that ensures their primary function is in terms of perpetuating a propaganda message in the interests of those commissioning the polls. Nate Silver, and his site http://fivethirtyeight.com is the US election forecasting guru mainstay of the mainstream media, who turn to his forecasts on a near daily basis to reinforce their agenda. Though the UK experience of Nate Silver is that he tends to get it wrong far more often then right i.e. 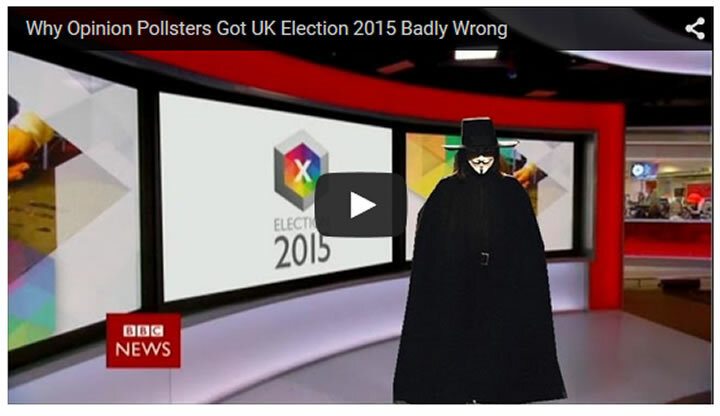 the 2010 AND 2015 UK General Election's that I warned BEFORE election day that he was likely to turn out to be wrong. Well his (sites) latest update on the US election is clearly strongly forecasting in favour of Hillary Clinton winning by 60% to 40% for Trump, which should not be so surprising since its basically based on opinion polling, so cannot see beyond that which the polls are stating. Whilst the New York Times TheUpshot model has Hillary on a 72% Chance of winning with Trump on just 28%. And similar holds true for a whole litany of political pundits basing their forecasts on the opinion polls. Surely the bookmakers should get the election outcome right? According to the Betfair market Hillary Clinton is by far the favourite on 1.58 to back which converts into a 67% probability of a win. This is set against a Betfair market price for Donald Trump of 3.05 which converts into a probability of 33%. With the economy trundling along at +2.2% per annum, unemployment low at 4.9% and the stock market near all time highs one would imagine that any Democratic candidate would be a shoe in for the White House, especially when one looks at the republican candidate, born with a silver spoon in his billionaire mouth, all hype without any clue of how ordinary americans live their lives, Donald Trump. But it's not turning out that way for despite the Republicans being lumbered with Darth Trump, the Democrats too have chosen Hillary Clinton whose only qualification for the job appears to be that she is the spouse of a former President, elitism personified, which soon becomes apparent when one hears her drone on for hours without ever saying anything meaningful, a complete voter turn off. 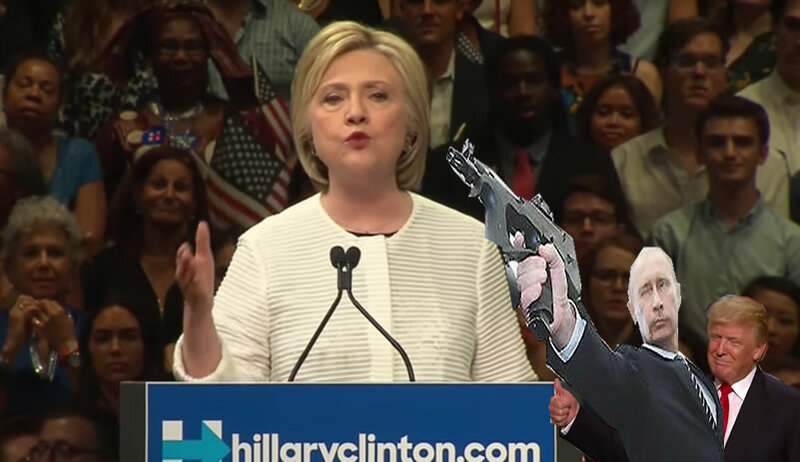 So one of the primary factors playing in favour of Putin's Manchurian candidate Trump is Hillary Clinton, probably the worst candidate the Democrats could have picked, even Bernie Sanders would have stood a much better chance given his anti-establishment pull factor. The US presidential election is not following the usual script, for instance low unemployment should mean that the incumbent party wins, and a rate of 4.9% for August is remarkably low, for instance the original trend trajectory in October 2012 implied US unemployment would fall to about 5.7% by now. So the current US unemployment rate of 4.9% is ahead of my trend forecast of 4 years ago (5.7%). Which should be a major boost for the democratic candidate. So whilst Obama has succeeded in bringing headline US unemployment rate down to virtually recover the whole of the Bush catastrophe which apparently after 8 years of Obama's Presidency has washed out of the collective memories of Americans of just how bad the Bush Republican presidency really was! That literally had brought the United States to the very brink of financial and economic collapse as the above graph illustrates that unemployment was soaring into the stratosphere as Bush passed power to Obama, at a pace not seen since the 1930's Great Depression . Despite the fact that Trump is NOT the FRIEND of ordinary americans, does not have a clue of how ordinary americans live their lives, a rich spoilt brat who is attempting to use his billions to buy the US election. Ordinarily the american people would be able to see through the likes of this wannabe Tyrant in wolfs clothing. But not this time for rebellion is in the air, and of the choice between establishment Hillary Clinton or anti-establishment billionaire Donald Trump who is feeding on the anger of ordinary americans, especially as many actually believe that which spouts out of Trumps mouth on a near daily basis. Why would the people of America elect a rich elitist billionaire serial lying spoilt brat? One possible answer is BrExit! Which has thrown a spanner into the works for what would have seemed like an impossible Trump victory which now looks possible! Some three months on from BrExit it can now be difficult to imagine the shock to the British political and establishment elite that the BrExit vote was that hardly anyone saw coming! Not the mainstream press pundits, not the establishment, not the politicians, not the pollsters, not the bookmarkers. not the financial markets and not even most BrExit campaigners as illustrated by Boris Johnson who never actually believed Brexit would win, not even Nigel Farage who a few minutes after 10pm on Brexit night conceded defeat and started speculating that the vote was rigged due to x,y,z reason. 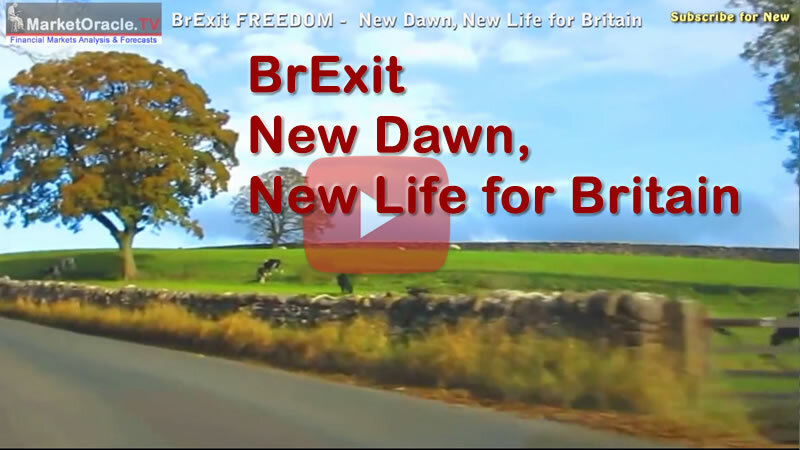 So BrExit truly was an unexpected shock to the system as the following video illustrates of what happened during BrExit night as it slowly started to dawn on all that REMAIN had actually lost the vote. Whilst my following video of exactly what happened in the markets during a very volatile overnight BrExit trading session. Following BrExit it appears a switch was flipped in the US Presidential race which is clearly not visible in the opinion polls, just as BrExit's lead in the UK opinion polls was not visible, and thus Trumps advantage may never be seen in the opinion polls all the way into polling day which once more illustrates that opinion polls are worthless. Remember the UK opinion polls had REMAIN consistently in the lead all the way into the close of the polls when the BBC broadcast a REMAIN win on 52% to 48%. So one should not take Hillary's poll lead for anything more than propaganda, for in reality and as things stand today and given the greater motivation of Trump supporters to get out and vote over Democrats many of whom strongly dislike Hillary then it is very probable that Trump is leading Hillary Clinton going into the Presidential debates. So as things stand today the election is Trumps to lose more than Hillary's to win. With some 7 weeks to go it remains to be seen whether Trump can learn to follow the script rather than let his mouth run rabid. So today I would put Trump on 51% to 49%. But unlike 2012 and 2008 when I correctly forecast an Obama win (27 Oct 2012 - Who Will Win the U.S. Presidential Election, Forecast 2012) this election fight is not over yet, so I will probably come back with an update much closer to election day. Though remember that the trend is in Trumps favour which suggests rather than Hillary regaining the lead it is more probable that Trumps lead will widen by election night, so it is really going to be tough for Hillary to avoid a US BrExit outcome! The Betfair market is currently giving odds of 3.05 (2-1) for Trump, maybe because of the worthless opinion polls we could see the odds widen to ridiculous levels such as 14 that occurred on EU referendum night for LEAVE just hours before the polls closed, or maybe US polling may prove more accurate and slowly converge to give Trump the lead which would mean the odds will significantly narrow. Whilst my next multi-month stock market trend forecast remains pending, nevertheless a trend forecast covering a couple of months is not really relevant to long-term mega-trend investing of which the recent news out of MI6 of seeking to expand their agents by 1/3rd which is in additional to expansion of other arms of Britain's secret police such as GCHQ and MI5 which has acted as prompt for a timely reminder of one of the key investing mega-trends of the our lifetime. The expansion is the government making the SAME mistake it always tends to make when it engages in such job creation exercises for bureaucratic institutions in that they are ALWAYS looking in the rear view mirror of what happened in the past and thus how they could have averted for instance 9/11 or 7/7 if they had x,y,z number of personnel in place and then go ahead and implement such capacity expansion a decade after the fact, whilst failing to realise that the nature of the threat has moved on. What the fools who go by the oxymoron of 'intelligence' agencies FAIL to grasp is that where future physical and cyber attacks and wars are concerned HUMAN INTELLIGENCE IS OBSOLETE! Instead of employing several thousand obsolete human's who will once more miss the threat just as 9/11 and 7/7 were missed due to INFORMATION OVERLOAD, where today the amount of information (DATA) is exponentially greater than a decade ago. 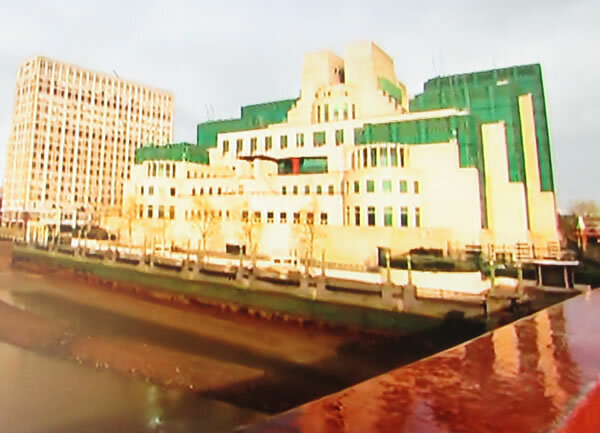 So if there was any intelligence at work at the likes of MI6 then instead of hiring humans they instead should be focused on developing / acquiring the REAL means of fighting and countering future terror / cyber attacks which is MACHINE INTELLIGENCE (not to be confused with machine consciousness which is not likely in our life time). For it is ONLY MACHINE INTELLIGENCE that can discern the patterns amongst an exponential expansion in data so that Britain could stand a chance of countering future terror and cyber attacks, a future that is not so distant when we look at the way algorithms are already controlling much of human life today i.e. the Google Algorithm, the Facebook Algorithm, the smartphone O/S algorithms. Machine intelligence is ALREADY HERE, and so instead of so called intelligence agencies recognising this fact and incorporating algorithms that operate at speeds of millions of times that of humans, instead go and hire a few thousand already redundant for the task humans. In the future states and terrorists will deploy machine intelligence's in their attacks against which one would need machine intelligence's to counter. Therefore, one things guaranteed that this weeks announcement ensures that Britain is going to waste several more crucial years going down the wrong path until a series of major AI driven attacks force the realisation that they have to switch from human intelligence to machine intelligence, which will be seen as being even more important than acquiring nuclear weapons was last century because machine intelligence is not a constant because the systems LEARN at a rate that is millions of times of human's and thus gaps between machine intelligence's may never be filled resulting in a perpetual intelligence gap, always several if not millions of steps behind. And whilst the military and security services over the coming decade will be at the fore front of implementation of machine intelligence, however just as most intelligence agents are already obsolete then so too not many years distant will be most ordinary workers, be they factory workers, taxi drivers (self drive cars) or GP's (continuous diagnostic systems on smartphone's), something EVERYONE needs to realise today so as to plan ahead for. Take this as another cue to invest in the artificial intelligence among other tech mega-trends that I covered in my early 2013 ebook that you can still download for FREE. And where the US election is concerned then you need to understand that most of the political posts being made on the likes of twitter and facebook are FAKE, made by bot's that can literally churn out tens of thousands of similar messages per hour which has the effect of reinforcing candidates messages, or spreading misinformation about the opposing candidate and diluting out real voter response, so don't pay much attention to twitter or facebook where the US presidential election is concerned. The bottom line is that a vote for Trump will be just as the vote for BrExit was of the ignored working and middle class's telling the elite to go F themselves! My next in-depth analysis will seek to map out a trend forecast for the stock market for the remainder of 2016.